For a few reasons (program timing, inclination, community) I don’t sing a lot of Christmas songs in my library. 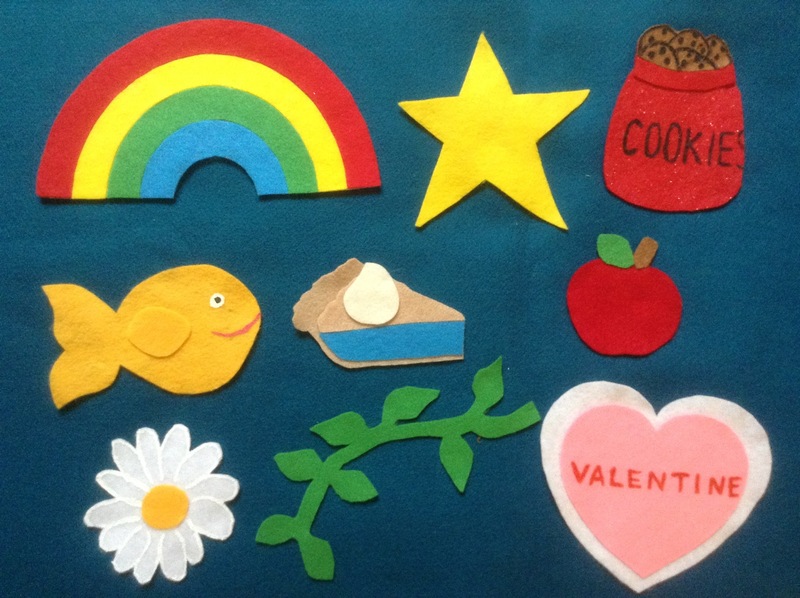 But if you do, this one is a fun cumulative, call and response that can also be extended with a felt story. The songwriters are Hal Moore and Bill Fredericks, and it was first recorded in 1960, although if you’re a storytimer you’re probably more familiar with Raffi’s recording. This is a slightly simplified version (no bridge, fewer transitions), and I’ve transposed it into an easy ukulele key. If you like to sing/play in G, try it as G/D/C. Here are a couple photos of my version (complete Santa, and component pieces). 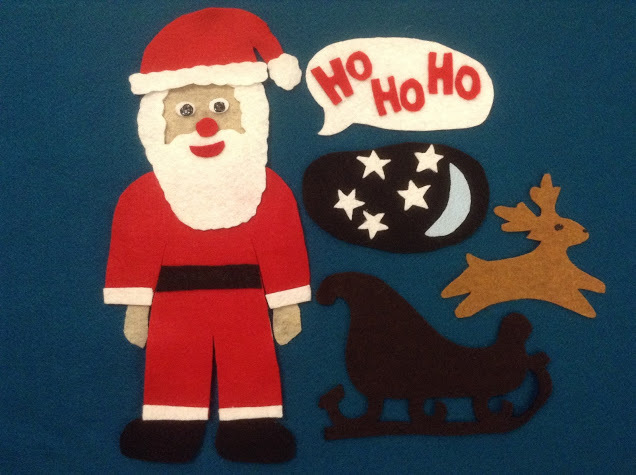 I used clip-art for the sleigh, and my colleague Linda’s reindeer pattern, but otherwise it’s original. 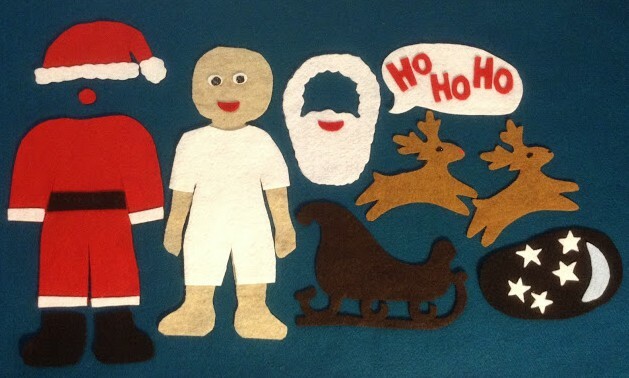 The base Santa is adapted from a paper doll pattern. This week’s Flannel Friday is hosted at What Happens in Storytime, so check them out for more winter and holiday ideas. 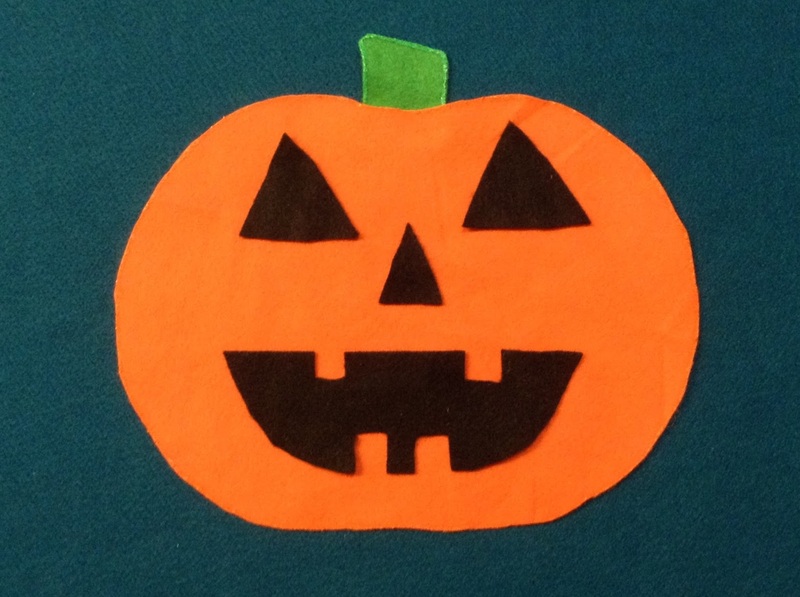 Rather than the usual single-song-plus-piggyback variations, I’ve selected a handful of Halloween-related ukulele songs appropriate for preschool and toddler storytimes. Most of the songs I’ve included are played to those same familiar tunes that I’ve already posted on this blog, and lyrics that are new-to-me are linked to sources on Tell Me a Story. The ghost in the house goes, Boo! Boo! Boo! If you ever see a monster… be sure to shout BOO! Ten little ghosts can’t scare me. BOO! The ghosts are all cut freehand, and the pumpkin is based on one my wonderful colleague Kelly made. The jack-o-lantern’s face is not glued on. Sing the first verse with the plain pumpkin, then add its face before the second verse (if you’re strumming while you sing). 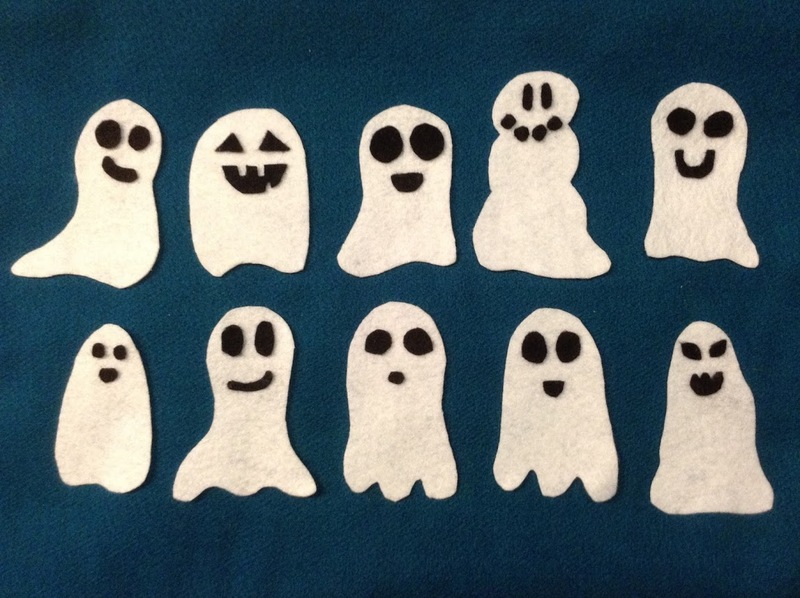 For more Halloween felt story ideas, see the rest of this week’s Flannel Friday roundup. Happy Halloweening!